More than 30 close associates of Col Gaddafi were tried for suppressing peaceful protests during the uprising. Saif al-Islam was not in court, but has previously appeared via video link. A Zintani source indicated to the BBC that they would not execute him or hand him over to the court. Former head of intelligence for the Gaddafi regime, Abdullah al-Senussi, is among those also facing death by firing squad, as is former PM Baghdadi al-Mahmoudi. They have the right to appeal against their sentences within 60 days. In the years before the uprising, Saif al-Islam was known for trying to introduce political and economic reforms, says the BBC's North African correspondent Rana Jawad. "But as people called for the fall of his father's rule - he stood by him till the bitter end," she added. He is also wanted by the International Criminal Court on charges of war crimes and crimes against humanity. Prosecutors say that he was part of his father's plans to "quell, by all means, the civilian demonstrations against the Gaddafi regime". Eight other ex-officials received life sentences and seven were given jail terms of 12 years each, said chief investigator Sadiq al-Sur. Four were acquitted. The defendants were accused of incitement to violence and murdering protesters during the revolution that eventually toppled Col Gaddafi. Since his death, Libya has been plagued by instability, and currently has no single government. Instead two warring factions each claim to run the country. 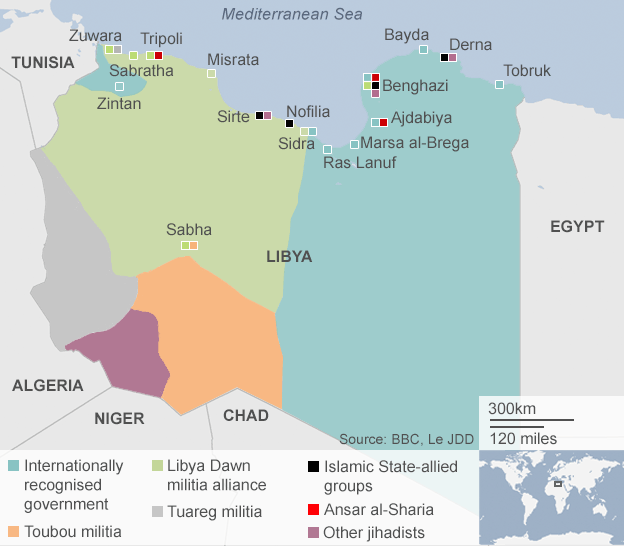 An internationally-recognised parliament is based in Tobruk, while the capital Tripoli is held by rivals Libya Dawn. 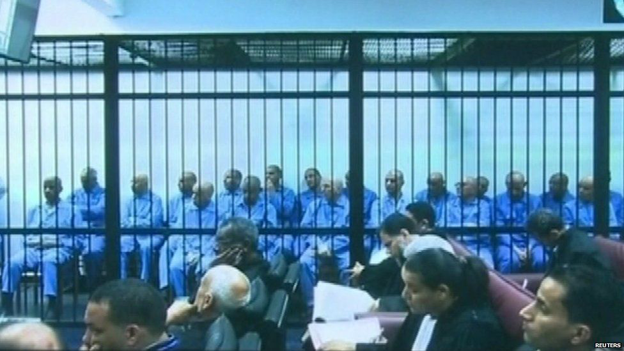 The trial, which opened last year, has been dogged by criticism from human rights agencies, who are concerned about the fairness of Libya's judicial system. The United Nations human rights office said it was "deeply disturbed" by the sentences, while Human Rights Watch said justice for the victims could "only be delivered through fair and transparent proceedings". 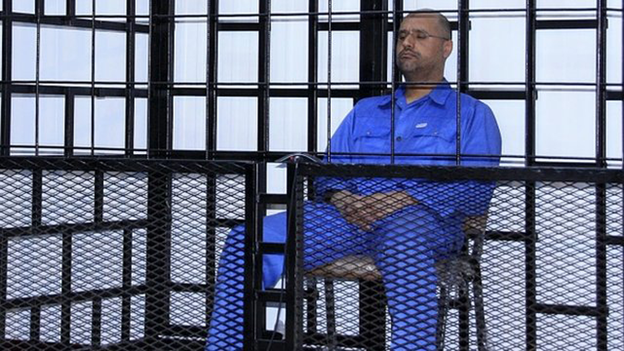 Saif al-Islam has been held in the mountainous western town of Zintan since the end of the war, by rebels who are allied to the Tobruk-based government. The fighters were key to the overthrow of Col Gaddafi - and after the revolution they established themselves as one of the most powerful militias in the country, cementing this with the capture of Libya's most wanted man - Saif al-Islam. He was ambushed deep in Libya's southern desert and immediately flown north to the mountains. As news of his capture broke, celebratory gunfire broke out across the country. Hordes of Zintanis met his plane at the town's rudimentary airstrip. Placed immediately in a secret prison in the dusty town, his captors were adamant that they would not hand him over to the official authorities - a promise that still holds true. They spoke openly of using him as a bargaining chip and knew exactly the value of this precious political commodity.